“It’s simple really: go where the patients are. It seems obvious, but at the time it was revolutionary." The founding of MSF. Amid the Parisian upheavals of May 1968, a group of young doctors decided to go and help victims of wars and major disasters. This new brand of humanitarianism would reinvent the concept of emergency aid. They were to become Médecins Sans Frontières, or Doctors Without Borders – MSF. After the revolt of May '68 burst on to their black and white TV screens, the French public soon saw other, more frightening images. For the first time, television broadcasted scenes of children dying from hunger in remote corners of the world. In southern Nigeria, the province of Biafra had seceded. This miniscule territory was surrounded by the Nigerian army and the Biafran people were decimated by famine. The French Red Cross issued an appeal for volunteers. For a number of years, Max Recamier and Pascal Greletty-Bosviel – volunteer doctors with the International Committee of the Red Cross (ICRC) in Geneva – had been regularly intervening in armed conflicts. "Contrary to popular belief the Red Cross is not a medical organisation at all," says Max Recamier. "Pascal and myself were the only two doctors they knew because of our previous mission in Yemen, so they asked us to find some doctors for the ICRC. "The first one to volunteer was Bernard Kouchner, who was much younger than I was; he was just finishing his studies and hadn't even finished his thesis yet, but he volunteered to go over there." A team of six set off on the ICRC mission to Biafra: two doctors – Max Recamier and Bernard Kouchner – as well as two clinicians and two nurses. Being thrown into such a bloody conflict was a real shock for these fledgling doctors, who found themselves having to provide war surgery in hospitals that were regularly targeted by the Nigerian armed forces. Recamier and Kouchner believed the world needed to know about the events they were witnessing: civilians being murdered and starved by blockading forces. They openly criticised the Nigerian government and the Red Cross for their seemingly complicit behaviour. In the following three years, other doctors began to speak up. These doctors, or 'Biafrans', as they were known, began to lay the foundations for a new and questioning form of humanitarianism that would ignore political or religious boundaries and prioritise the welfare of those suffering. “It’s simple really: go where the patients are. It seems obvious, but at the time it was revolutionary"
In 1971, Raymond Borel and Philippe Bernier, journalists from the medical review Tonus issued an appeal to establish a band of doctors to help people suffering in the midst and wake of major disasters. The ‘Biafrans’, who had been attempting to start an emergency medical-response group themselves, jumped at the chance. “In the back of our minds was the fact that we’d already done this and we wanted to do it again,” says Bernard Kouchner. “We wanted to ensure sufficient knowledge of this new type of medicine: war surgery, triage medicine, public health, education, etcetera. MSF was officially created on 22nd December 1971. At the time, 300 volunteers made up the organisation: doctors, nurses and other staff, including the 13 founding doctors and journalists. MSF was created on the belief that all people have the right to medical care regardless of gender, race, religion, creed or political affiliation, and that the needs of these people outweigh respect for national boundaries. MSF’s first mission was to the Nicaraguan capital, Managua, where an earthquake in 1972 had destroyed most of the city and killed between 10,000 and 30,000 people. In 1974, MSF set up a relief mission to help the people of Honduras after Hurricane Fifi caused major flooding and killed thousands of people. Then, in 1975, MSF established its first large-scale medical programme during a refugee crisis, providing medical care for the waves of Cambodians seeking sanctuary from Pol Pot’s oppressive rule. In these first missions, the weaknesses of MSF as a greenhorn humanitarian organisation would become readily apparent: preparation was lacking, doctors were left unsupported and supply chains were tangled. It became a turning point; the movement began to fracture. 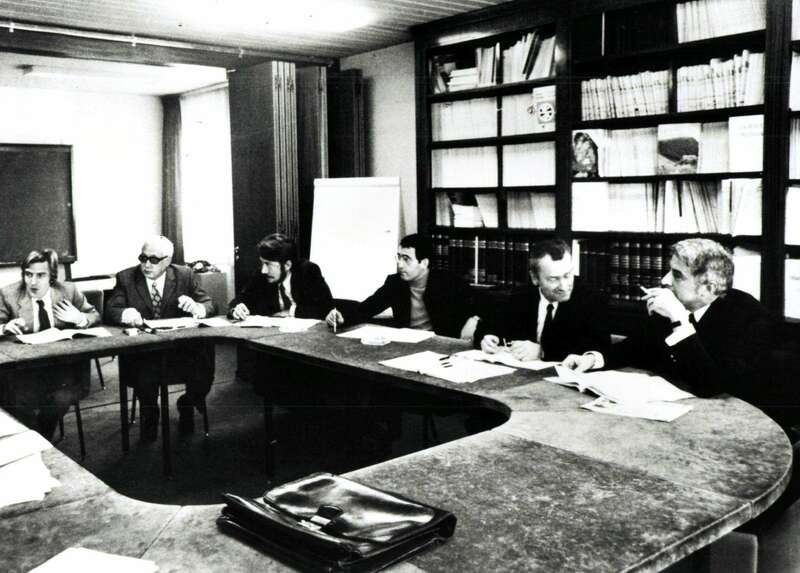 At the Annual General Assembly in 1979, MSF’s internal conflicts finally erupted. A vote was made on whether MSF should become more organised or remain a band of guerilla doctors. Eighty percent voted in favour of the former. Bernard Kouchner and his ‘Biafran’ counterparts resented the move and left MSF to found Médecins du Monde, or Doctors of the World. From this point, the new ‘realist’ leadership of MSF – spearheaded by Claude Malhuret and Rony Brauman – would help transform MSF into the professional organisation it is today. Since 1980, MSF has opened offices in 28 countries and employs nearly 37,000 people across the world. Since its founding, MSF has treated over a hundred million patients – with 8.6 million outpatient consultations being carried out in 2015 alone. From its inception, MSF has proved itself to be unlike any other NGO. MSF remains fiercely independent of both governments and institutions and its permanent criticism of the humanitarian illusion are a constant thorn in the side of the establishment.